Give your pasta a dash of Parisian panache! The secret ingredient? Vinaigrette from Carmel's renown French Poodle Restaurant. 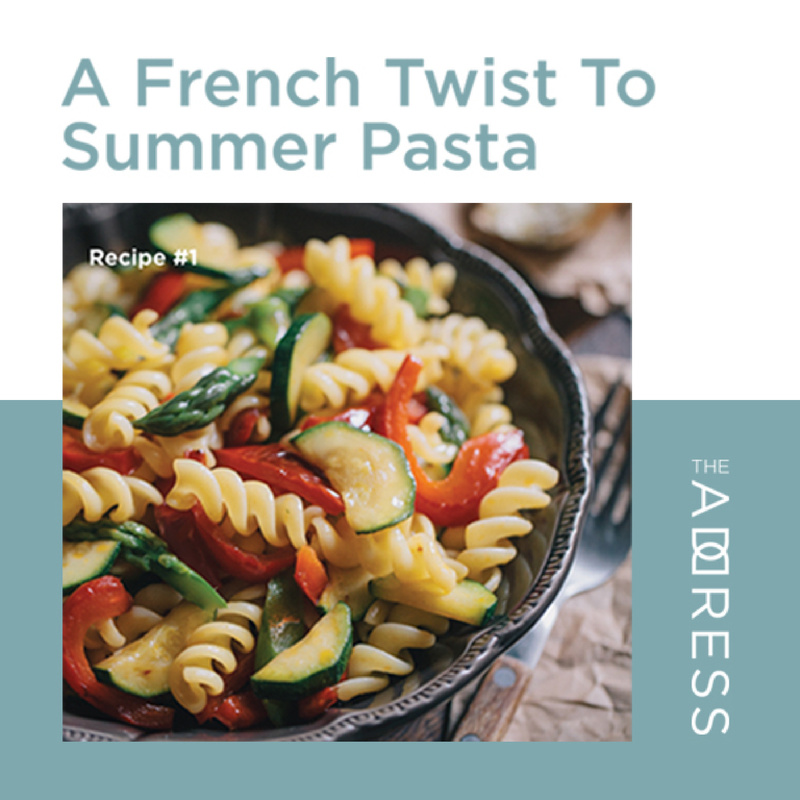 Try your hand at this summer pasta recipe with a French twist. Add some flair to your summer gatherings! Toss and Enjoy! Bring salt water to boil. Drop in pasta and cook per package instructions. Drain in Colander and set aside. Saute pepper, zucchini and asparagus in olive oil until desired softness. Add pasta to vegetables and mix with basil and vinaigrette to taste. To order a bottle of French Poodle Vinaigrette visit their website!